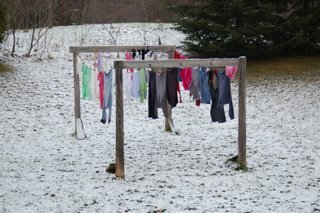 My wife loves to dry the laundry on the clothesline whenever she gets the chance. She'll even hang them out when the temperature is below zero and I have made the clothesline another area to clear when I snowblow the driveway. 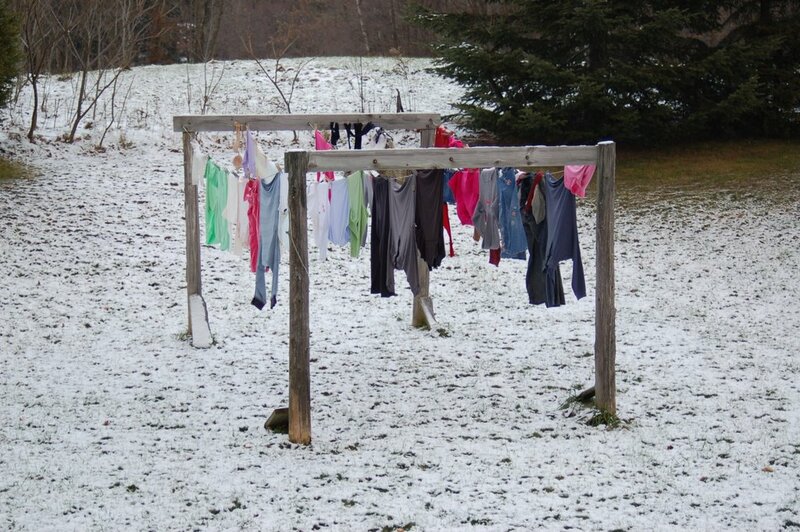 Believe it or not, the clothes do dry instead of freezing in below zero temperatures. Actually, they do freeze like rocks but the dry air evaporates them and makes the clothes smell nice and fresh.